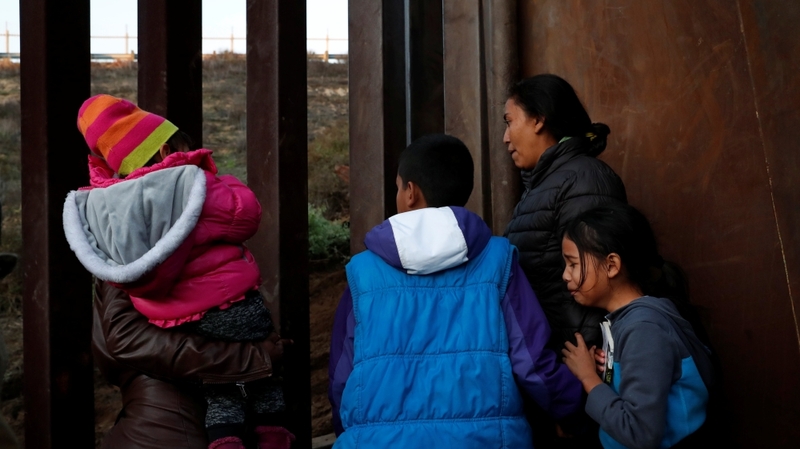 A seven-year-old girl from Guatemala has died of dehydration and shock hours after she was taken into US Border Patrol custody, the Washington Post has reported. The girl and her father had been detained by immigration authorities on December 6 in the US state of New Mexico as part of a group of 163 people who approached US agents to turn themselves in, the newspaper reported on Thursday. Early on December 7, the girl started having seizures, and emergency responders measured her body temperature at 105.7 degrees, the Post said. She was taken to a hospital, where she died, according to the report. US Customs and Border Protection did not immediately respond to a request from Reuters news agency for comment. A spokesperson at Providence Hospital in El Paso, in the US state of Texas, where the Post reported the child was taken, also did not immediately respond to a request for comment. The names of the girl and her father were not released. The agency, which typically provides food and water to migrants in its custody, is investigating the incident to ensure whether appropriate policies were followed, the Post said. The reported death of the seven-year-old is expected to intensify scrutiny over the conditions endured by those detained at Border Patrol stations and Customs and Border Protection (CBP) facilities under the administration of Donald Trump, who has made toughening immigration policies a central tenet of his presidency and has pledged to build a wall along the southern border with Mexico. “This tragedy represents the worst possible outcome when people, including children, are held in inhumane conditions,” Cynthia Pompa, advocacy manager for the ACLU Border Rights Center, said in a statement. Jerry Nadler, the top Democrat on the House of Representatives Judiciary Committee, wrote on Twitter that the head of the Department of Homeland Security, which oversees Customs and Border Protection, will appear in front of the panel next week. “We will be demanding immediate answers to this tragedy,” Nadler said. Trump has sought to sow fear over thousands of migrants and refugees who have recently arrived at the border as part of an exodus, initially dubbed the Central American caravan. More than 6,000 people are currently waiting in Tijuana, northwestern Mexico, to file for asylum in the US. Trump has sent more than 5,000 troops to the border to offer logistic support to border patrol agents. The Department of Defence approved a plan to extend the deployment of about 4,000 active-duty troops through January. “When the Trump administration pushed for the militarisation of the border, including more border wall construction, they are driving people fleeing violence into the deadliest desert regions,” said ACLU’s Pompa, calling for a “rigorous investigation” into the girl’s death and “serious reforms to prevent future deaths”. This summer, the Trump administration’s “zero tolerance” immigration policy, which resulted in separating children arriving at the border with their parents, caused a national outcry. The policy was mostly reversed.